Since the inaugural season of the Pro Kabaddi League, Dome@NSCI, SVP Stadium, Worli, Mumbai has modernised a traditional Indian sport, by giving it a venue befitting its history. As India’s largest indoor venue, Dome@NSCI SVP Stadium was the ideal location, given its pillar-less open area which made it easier to host the game, which is played on a court. The additional advantages of its stellar location overlooking the Worli Sea face and Haji Ali Dargah, as well as ample parking space, also made conducting the Pro Kabaddi League here the right choice. Pro Kabaddi, an initiative by Mashal Sports and Star India, is the only league to bring the franchise-based format to India’s indigenous sport of Kabaddi. 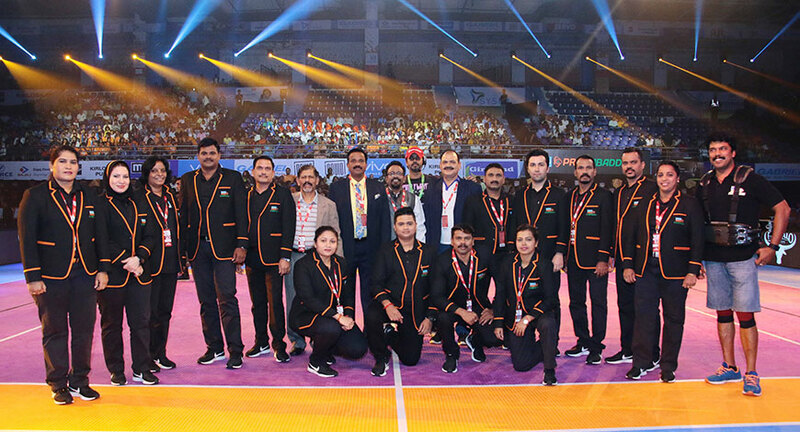 Mazhar Nadiadwala, MD, Dome Entertainment said, “It has been a pleasure and privilege to host the Pro Kabaddi League which is the world’s first Kabaddi League, at Dome@NSCI. Being one of India's largest indoor venues, we are happy to be able to provide the platform for such an ancient Indian game that is loved by all. Pro Kabaddi League is cherished by all audience and everyone at Dome Entertainment as well. It is a pleasure to see Indians showing interest in such sports. We would love to host and encourage a lot more indoor sports events in India in future too”.